A collectable (or a collector’s item) is an object regarded as being of value or of interest to the person who seeks out and ‘collects’ this item. It can refer to any number of things from a teddy bear to even a tissue once used by Justin Beiber! 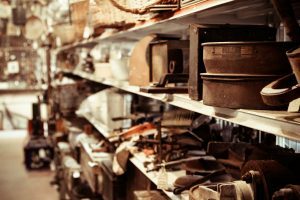 However, common forms of collectables include memorabilia (items that have sentimental value) antiques (items over 100 years old) vintage goods (items over 20 years old) and rare items or ‘curios’ (in short supply and often unique and fascinating). An example of an antique might be a cameo brooch from the Victorian era. A vintage item might be a brass telephone from the 1960s. A curio might be a snuffbox by Faberge. A typical example of memorabilia might be an autographed photo of a celebrity or sportsperson or a collection of coins or stamps. Some items are created specifically for the purpose of being collected. These are called ‘manufactured collectables’ or ‘limited edition items’. This may come in the form of a restricted publication of a book, or maybe a collection of Disney brand mugs released for a short time only. Collectables are highly sought after and purchased for a variety of reasons. One reason is that they are desirable to the person acquiring them. A second reason is that they are viewed as an investment. A third reason is a combination of the above. Rare and valuable collectables can be resold. This might be at auctions, at antiques and collectables retailers/fairs and on Internet marketplaces such as ‘Gumtree’. You may wish to use a particular relevant vendor, or perhaps list your collectable for sale via as many avenues as possible. Whether you are an amateur or a professional dealer, the key to making successful acquisitions is to do your research. Your knowledge and enthusiasm for whatever you wish to collect is central to the success of your venture. If particular items hold an interest to you these will naturally foster a desire within you – even an addiction! This will make completing your collection a pleasure rather than a chore. So, if you are collecting something that you hold a curiosity for it’s always going to elevate your game as a collector. Keep in mind, however, that if you are looking at items for investment that you need to detach from any emotional hold that your collection has on you. It’s a fine balance between having a passion and keeping your eye firmly on the dollar that will make you successful as a collector. Seeking out collectables can be an exciting endeavour. It’s akin to seeking treasure. You never know what you might stumble upon. It might be something worth a lot of money. Or, it might be something you have been searching for over a long period of time. Whatever it is – the thrill of the hunt is often what drives people to become collectors. Auctions provide a regular and reliable way to add to your collection with a host of diverse items available under the hammer. They are also a great place to resell your investment with a massive audience found both onsite and online. The rise of Internet auctions means that you can reach more people than ever before. Lloyds Auctioneers and Valuers are leading, reputable sellers of collectable items. Keep your eyes peeled for an ever-changing catalogue of antiques, vintage items, memorabilia, curios and limited edition items available for viewing and bidding at the showroom. You can bid via our simple and easy online auction today.